Mathew Lawrence and Uri Gordon discuss the question. There is a risk that older people will have the power in democracies. For example, in the US mid-term elections 18 to 29-year-olds were only 13 per cent of the voters. In the UK in the last general election, 36 per cent more 70 year olds voted than 20-year-olds. 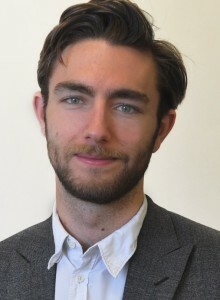 YES: Mathew Lawrence is a Research Fellow at the Institute for Public Policy Research. 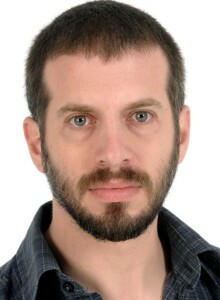 He works on ideas about political economy and democratic change. His newest publication was De-financialisation: a democratic reformation of finance (2014). There are also big differences in class. In the UK the richest voters were 43 per cent more likely to vote than the poorest. This was 500% more than in the 1980s. We see the same changes in many other European countries. This is very bad for democracy and economic equality. Then politics is for the older and richer voters. This means others who do not vote are always unhappy and are not involved in politics. We must do something very big to bring back the idea of democracy in our lives. We must involve everyone. Voting should be compulsory for new young voters. This doesn’t mean you must vote for a political party. You can choose none of the parties. And it doesn’t stop us involving more people in politics. It is one step to bring democracy back to life. We don’t want more political inequality. Governments are not serving their voters. Ten years ago, Western democracies invaded Iraq and they did not listen to the protests of millions of people. Today, they make us pay for the mistakes of the bankers. Freedom of speech means no one listens. NO: Uri Gordon is a lecturer in Political Theory at Loughborough University and helped to start the Anarchist Studies Network. He was born in Israel. He wrote Anarchy Alive! : Anti-authoritarian Politics from Practice to Theory (Pluto Press, 2008). But this does not mean democracy is weaker. It is not international companies and arms and oil that are taking our power. Every state has always served the rich and powerful. We are now seeing that democracies are not working. Elections give us the idea that government is for everyone. In fact, they only change the leaders of capitalism. I think that young people are not voting because they can see this. Young people are interested in action. Young people volunteer as much as older people and there are more young people in activist movements. We need to take this seriously. Making people vote is asking them to agree with a system they do not trust. We need to show that there is a big problem with the system. We should not try to save the system from itself. Real change needs long hard work. Making short protests is not enough. Wall Street is occupied again, but now by organized money. And crisis usually comes with retaliation, not revolution. Elections are one way of working to change things but not a perfect way. Voting does not mean we agree with the system. The answer is not that we shouldn’t vote, but that not enough people vote. Social democratic and progressive parties around the world have improved societies more than those who refuse to work with the system. Surely we agree there is a world of difference between Syriza and Golden Dawn?. You’re right that young people are interested in action. But voting in their first election could change their political energy into change. Democracy is, of course, about much more than elections or representative government. But they are at its centre. And so it is important that people with no power now are represented most in future. Don’t not vote but be involved in democratic life. We seem to disagree a lot. But I was not saying do not vote. And I do not believe in making short protests and simply waiting as political action. I am against making people vote because I am against the way the state works. But this doesn’t mean that I am against voting to make a difference. There are elections in my own country, Israel, soon. Some of my anarchist friends will vote perhaps only to help the opposition against fascism. It is possible for an elected leftist government to do something about the worst parts of capitalism. Of course, history since the war shows us that a military coup often follows. And here I am worried about Greece. But this is different from the idea that we must make people vote. One of the most positive changes in Western society is the protest against government of inequality. Making people vote works against that change. It is like a sleeping pill. There are hundreds of ways to slowly change the system, like occupation of buildings, workplaces, and farms, co-operatives, local exchange schemes, and neighbourhood assemblies. Self-management and help for each other, not making people vote, are the best ways to end capitalism. The question is not how to end capitalism but how to make the system of elections in a democracy stronger. Making people vote will not end capitalism but it will help democracy get stronger. This is important and it is important which people vote. Our voters are getting older and richer and our politics responds as a result with political inequality. For example, non-voters are generally poorer and younger and they are the victims of austerity. The choice to vote for none of the parties gives people a chance to protest against the system. As you’ve said, there are many, often better, forms of political and social action to stop inequality. But voting is a way of showing political equality. One person, one vote can help build a more equal society. You say “make the system of elections in a democracy stronger.” This is where we disagree. We do not need to save the system, we need to change it. We have one person, one vote, but everybody knows that real political power comes with pounds and dollars. Or is it Swiss francs? 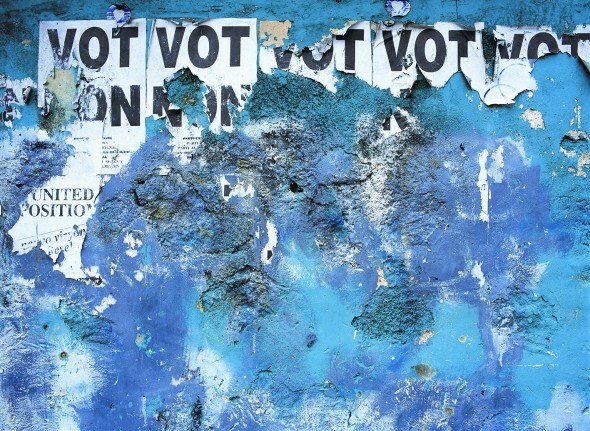 Making the young and the poor vote may give them a voice. But then politicians would listen more to the one per cent, who are rich. Yes, people can vote for none of the parties. But is it a good idea to make them vote just so they have that chance? Millions do not vote – that tells the story. Let’s find a better story, maybe one about an equal society with no classes or armies. Now that’s a choice you will never have on election day. This page was last edited on 29 July 2015, at 20:56.